The EB-5 (employment-based fifth preference) immigrant investor program dubbed as ‘American golden visa scheme’ is the world’s most popular scheme to immigrate to the United States for wealthy foreigners. Congress created the EB-5 Program in 1990 to stimulate the U.S. economy through job creation and capital investment by foreign investors. n 1992, Congress created the Immigrant Investor Program, also known as the Regional Center Program. EB-5 has a limited quota of 10,000 visas every year including family members. Foreign investors are required to invest $500,000 in New or existing commercial enterprises and must create jobs. Targeted Employment Area (High Unemployment or Rural Area). The minimum qualifying investment either within a high-unemployment area or rural area in the United States is $500,000. A targeted employment area is an area that, at the time of investment, is a rural area or an area which has experienced unemployment of at least 150 percent of the national average rate. A rural area is any area not within either a metropolitan statistical area (as designated by the Office of Management and Budget) or the outer boundary of any city or town having a population of 20,000 or more according to the most recent decennial census of the United States. Step 3: File Form I-829, Petition by Entrepreneur to Remove Conditions on Permanent Resident Status, within the 90-day period immediately before the second anniversary of the EB-5 investor’s admission to the United States as a conditional permanent resident. Expect long processing times of atleast five years to receive a green card. Nonresident foreigners purchased $53 billion worth of real estate in the US between 2017 and 2018. In 2017, around 5.5 million of existing homes were sold in the U.S. Foreign buyers accounted for 8 percent of the $1.6 trillion in existing home sales. According to CNBC, China still leads the for international buyers, accounting for 15% of international sales with a median price of $439,100. Canadian buyers rank second, with an average property price $292,000. Other buyers are from India, Mexico and UK. The United States ordinarily places no restrictions on foreigners concerning the ownership, purchase or transfer of real estate, except where national security is at stake. A foreigner’s right to own, purchase, or transfer real estate may be limited, however, by various federal and state statutes that restrict the ability of a foreigner to acquire or dispose of certain real estate or to make testamentary dispositions to foreigners from countries that prohibit similar dispositions to U.S. citizens. Also, there are numerous reporting requirements for foreign investors as well as for sellers of real estate to foreigners. The reporting requirements incorporate look-through mechanisms which make it relatively difficult to set up tiers of domestic and foreign entities in order to make the ultimate ownership of real estate by foreign persons more private. Furthermore, failures to report may be punished with severe penalties, ranging from up to 25% of the fair market value of the real estate even to imprisonment. The US has one of the strictest tax regimes in the world taxing on worldwide income . HNW investors have to be careful with tax planning and becoming a resident in the US. Citizens and resident aliens are subject to tax on worldwide income. According to IRS, If you are a U.S. citizen or resident alien, the rules for filing income, estate, and gift tax returns and paying estimated tax are generally the same whether you are in theUnited States or abroad. Your worldwide income is subject to U.S. income tax, regardless of where you reside. 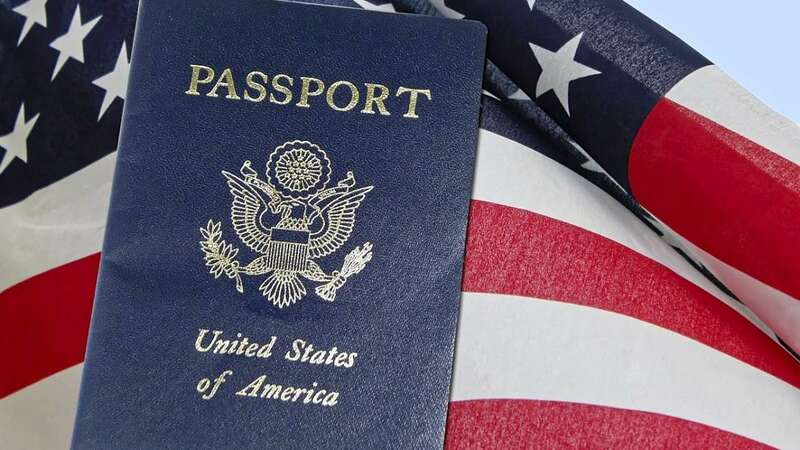 United States has the sixth powerful passport in the world in 2018, with visa free travel to 186 visa free countries.